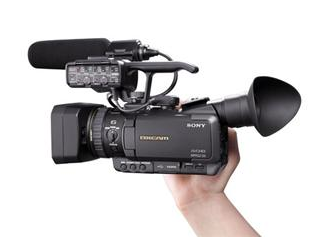 Home > Sony Products > The Rain & Dust Proof Sony Professional Cameras NOW IN STOCK! 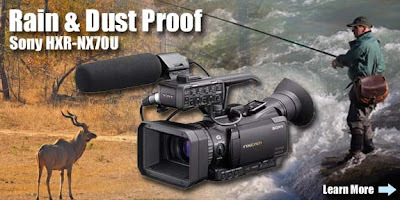 The Rain & Dust Proof Sony Professional Cameras NOW IN STOCK! 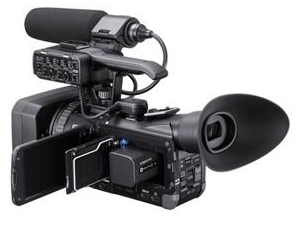 Sony continues to raise the bar with the introduction of its rain- and dust-proof HXR-NX70U NXCAM Compact Camcorder. This rugged little trouper is the perfect companion for those tough hunting location shoots where weather and climate cause lesser cameras to buckle and fold. Meeting stringent dustproof and rainproof requirements, the NX70U's sealed body keeps out all but the toughest of elements, making it ideal for all outdoor videographers traveling to far-flung, unpredictable locations. But beneath the NX70U's weatherproofing is a first-class performer that hits all the professional sweet spots. Its back-illuminated Exmor R CMOS sensor combines with an ultra wide 26.3-263mm Sony G lens and Optical SteadyShot to provide outstanding full HD 1080p images even in low light hunting situations. The Dual Rec function, meanwhile, lets you shoot 12.3MP stills while recording video, all of which can be captured to the unit's spacious 96GB embedded flash memory or your choice of Memory Stick or SD/SDHC media. And just because the NX70Uis small doesn't mean it stints on professional features and controls. An assignable lens ring gives you manual control over focus, zoom, or iris, while the detachable handle with dual XLR inputs--and an on-camera shotgun mic--provides the option of recording 2-channel audio using high-end external microphones. Helping you nail focus and exposure are the zebra and peaking indicators, which can be viewed through either the large viewfinder or high-resolution 3.5" touchscreen LCD. Title : The Rain & Dust Proof Sony Professional Cameras NOW IN STOCK! Item Reviewed: The Rain & Dust Proof Sony Professional Cameras NOW IN STOCK! 9 out of 10 based on 10 ratings. 9 user reviews.